Founded back in 1986, The Santa Barbara International Film Festival or SBIFF takes place in Santa Barbara, California every year in January. It is now an eleven-day event that sees over 200 feature and short films screened throughout its duration. The festival is generally seen as a litmus test for which films are likely to succeed at the Oscars later in the year. It attracts a growing number of A-list celebrities that in the past have included Leonardo DiCaprio, Angelina Jolie, Cate Blanchett, Jennifer Lawrence, Martin Scorsese, Kate Winslet, and the late Heath Ledger. The Santa Barbara International Film Festival screens films from all over the world and includes numerous other events also. These include a series of workshops and educational programs, celebrity tributes, and special industry panel discussions. Back in 2002, things weren’t looking so great for the Santa Barbara International Film Festival. Audience numbers were actually in decline when the incoming festival director, Roger Durling came onboard. He decided that the Santa Barbara International Film Festival’s low attendance numbers were due to one thing. The Sundance Film Festival was held around the same time. The festival dates were so close that they were forcing audience members to make a choice. Audiences chose Sundance. Roger Durling took immediate action and decided to move the festival to the end of January and early February. This meant that Santa Barbara International Film Festival would be held just before the BAFTAS and would also lead into the Oscars that take place in early March. 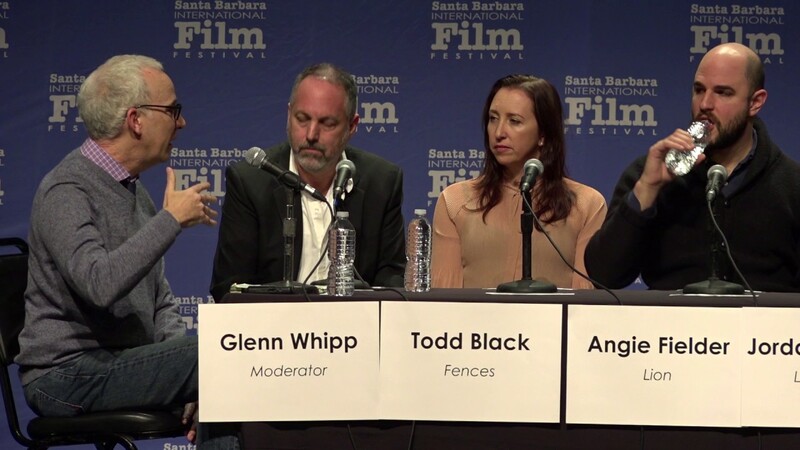 The gamble paid off and the Santa Barbara International Film Festival became an important feature on the film festival calendar. Audiences began to flock to the festival by the busload and more and more award-winning celebrities also began to attend. To that aim, the 2018 festival will feature more film premiers than ever before. The 2017 Santa Barbara International Film Festival featured a total of 51 world premieres and 64 U.S. premieres. This is a huge achievement for a festival that is still yet to claw its way to the top spot. It will also host a number of world-famous celebrities including Willem Dafoe and Gary Oldman, both of whom are receiving honoree awards. For a full program listing simply click this link. 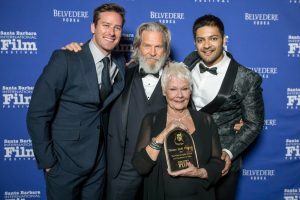 The Santa Barbara International Film Festival features a number of different awards that are designed to honor all aspects of outstanding filmmaking. Past winners have included filmmakers such as Quentin Tarantino, Martin Scorsese, and Robert Redford. In the Outstanding Performance of the Year Award, winners included Ryan Gosling, Penélope Cruz, Cate Blanchett and Angelina Jolie. The Santa Barbara International Film Festival’s 10-10-10 student competition is designed to encourage young artists to get involved in film. All students who currently study anywhere in the Santa Barbara area can enter the competition. The contest involves students submitting a 10-page script sample or a 5-minute film sample. The organizers then select 10 of the best screenwriting applicants and filmmakers. These lucky students are then given the challenge to come up with a film that will be judged during the festival. The entry date for the 2018 Santa Barbara International Film Festival has now passed. Though this might disappoint many filmmakers out there, the good news is that you can still enter the 2019 festival. To enter, click the link below and follow the step by step guide. You will need to make sure that you read fully the festival’s terms and conditions to make sure that your film qualifies for entry. The organizers are quite generous with their requirements, especially with short films, which can be up to 40 minutes long. This is 10 minutes longer than most other festivals allow. For the full information regarding these rules, click this link. For a breakdown of the relevant fees, click this link. The 33rd edition of the Santa Barbara International Film Festival will take place from January 31 until February 10, 2018. The event is held in various venues across Santa Barbara that include the famous Arlington Theatre as well as the recently renovated Riviera Theatre.